Me and Brendon just lay there on the couch trying to catch our breath. "Wow...did that really happen?" I asked but then realized I sounded stupid. Brendon chuckled and he pulls me closer to his sweaty body. "Yes it did" Brendon says kissing my neck. I blush and burry my head into his chest. A couple minutes later there is a knock on the door. Brendon and I franticly get up and rush around to find clothes. Soon enough we get dressed and I open the door while Brendon jumps onto the  couch. I cant help but laugh at how dorky he is. "Hey, you guys ready to go?" Pete asks us. I look over to Brendon and then back at Pete and nod. Brendon gets up and picks me up from behind and throws me over his shoulder. I scream and pound on his back to put me down. Everyone laughs as they all walk back out to the busses. Brendon finally puts me down and I laugh. Then a familiar face come out of the building. At first I don&apos;t recognize him. But then another person walks out and I can clearly tell who it is. It was my mom. But who was the guy she was with? He looked so familiar. 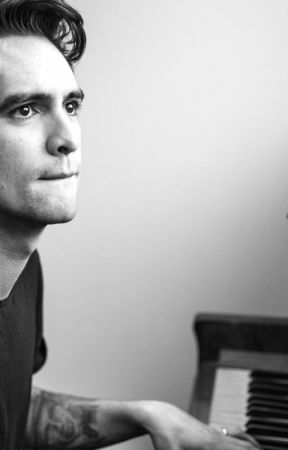 I looked at Brendon confused and he gave me a worried look. "Who is that?" I whisper to Brendon and Brendon just gives me a hug. I look back over to the two walking towards us and the man starts to get more familiar. Wait...is that...no...it cant be. Once the two get to the group I study the man. Not even giving a care in the world my mom is right there. "Hey sweetie" He says. I take off into the tour bus and into my bunk. I start crying and shaking like crazy. &apos;No, this cant be happening, why is he here?&apos; I think to myself. I hear two more people run into the bus. It was Brendon and Pete. "(Y/N), are you ok?" Pete asks. I jump out of the bunk and run into Brendon&apos;s arms and cry. I couldn&apos;t believe me dad was here. after all these years he was gone now he decides to come back!?! Brendon holds me tight and runs his hands through my hair. "Don&apos;t worry, ill protect you. I don&apos;t know why he is here but I wont let him hurt you." Brendon says. After about ten minutes of talking I finally agree to go out and see him. I slowly and timidly walk out, kind of hiding behind Pete and Brendon. "Are you ok pumpk-"   "Don&apos;t call me that" I say sternly. He gives me a confused look which makes me more mad then I already am. "Why are you here?" I ask with a little anger in my tone. "Honey, your father wanted to see you." My mother says pitifully. "if he wanted to see me why couldn&apos;t he have done that six years ago!" I shout causing everyone to jump a bit. "Listen-" I cut him off again. "NO Im not going to listen to you! You left me, us! and because of that my best friend is dead!" I shout more while crying. 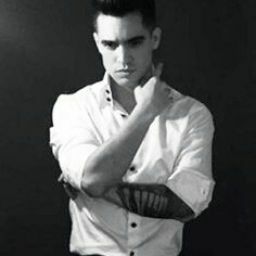 Brendon pulls me into his chest and hushes me. "im sorry" I hear my dad whisper. I just cry harder into brendons chest. "congratulations on the engagement." He says which makes me just loose it. I stop crying and walk over to him. I get right up to his ear and whisper "your not invited" Then I walk past everyone who is just standing there in silence and I walk srait into the bus. I sit down on the couch and try to not think of this to much. Pretty soon Brendon, Tyler and Josh walk in and we get ready to  go. No body says a word to anyone. It was like that for a while until Brendon walked over to me and he set me in his lap. "Im sorry, I didn&apos;t know he was coming." Brendon says rocking me baxk and fourth. "Its not your fault. He must have found out about us and he only came today because he wants to use you, us." I say trying to not tear up. Brendon hushes me and kisses my cheek. I hear my phone start ringing and I look at it. It was zoe. I answer it and go into the bathroom to talk to her. I watch as (Y/N) walked away and then I sigh. It must be so hard for her to have that happen. Have her dad walk out on her when she was only 14. And because of that Aiden is now dead. And she is going through so much and I cant help her. Why cant I help her. I wish I could help her. I sigh and pull out my phone. I had like 10 new notifications but they were all from Aidens page. I looked at my phone confused and I went onto his page. They were all from his sister, except the last one. It was him...he was alive. Wait, he just posted that. There was a picture of him in a hospital. He is ok... All of a sudden (Y/N) comes out of the bathroom screaming. "Aidens ok!" She screams over and over and I can see she is trying not to cry. "We have to tell him were getting married, we should invite him to our wedding!" se screams still jumping up and down. I run up to her and hold her to the ground. "No, don&apos;t tell him about that, don&apos;t invite him. I don&apos;t want him any more depressed than he already is. But you can go ahead and call him if you want. Just don&apos;t mention our relationship." I warn her and she nods and goes back to the bathroom. Im assuming to call him. "So Aiden is ok?" Tyler asks. Tyler and Aiden got along really well. "Well im not sure if he is ok, but he is alive." I sigh.